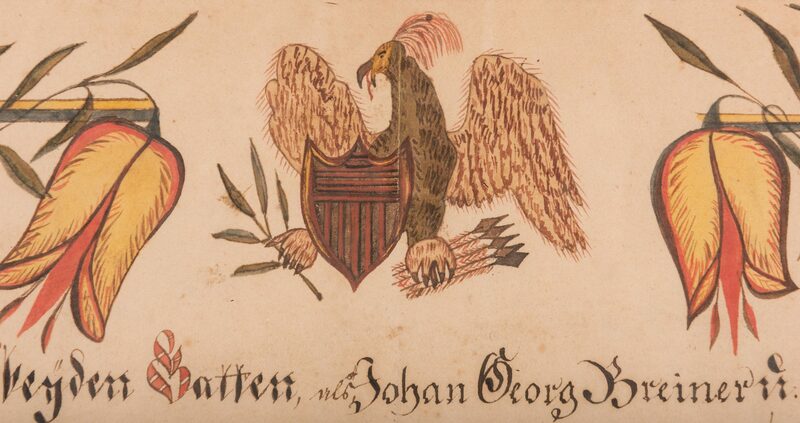 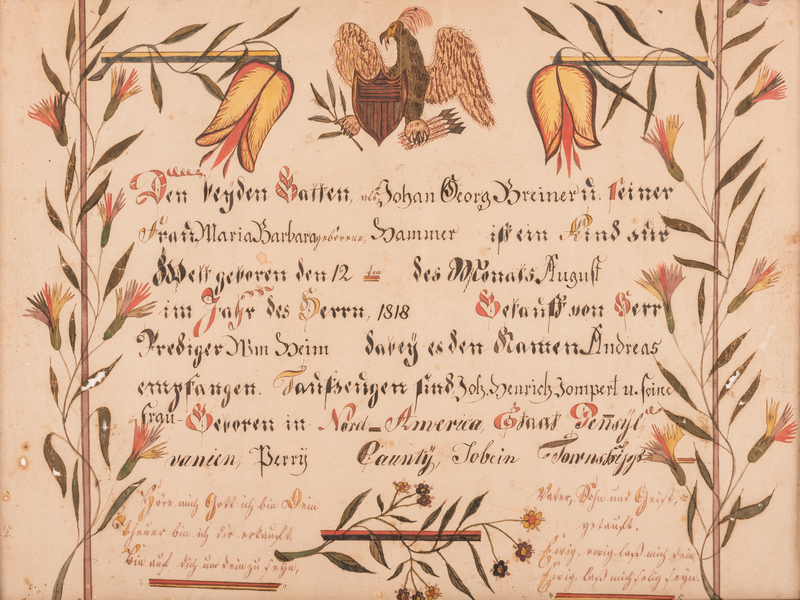 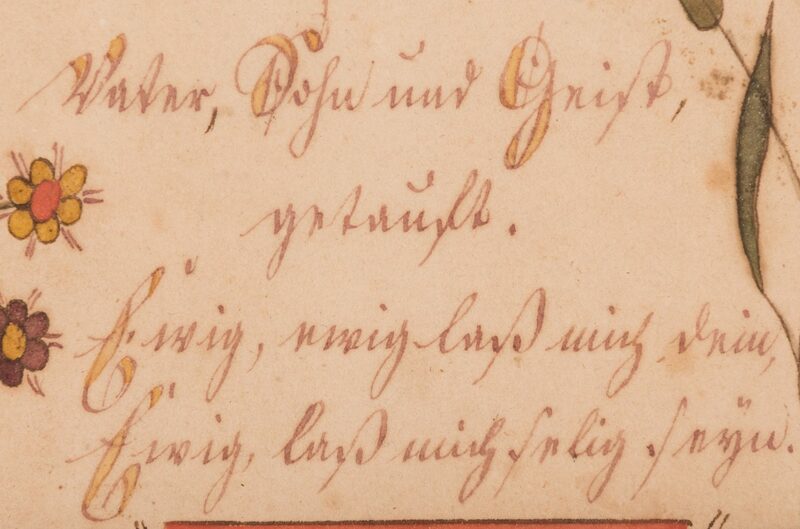 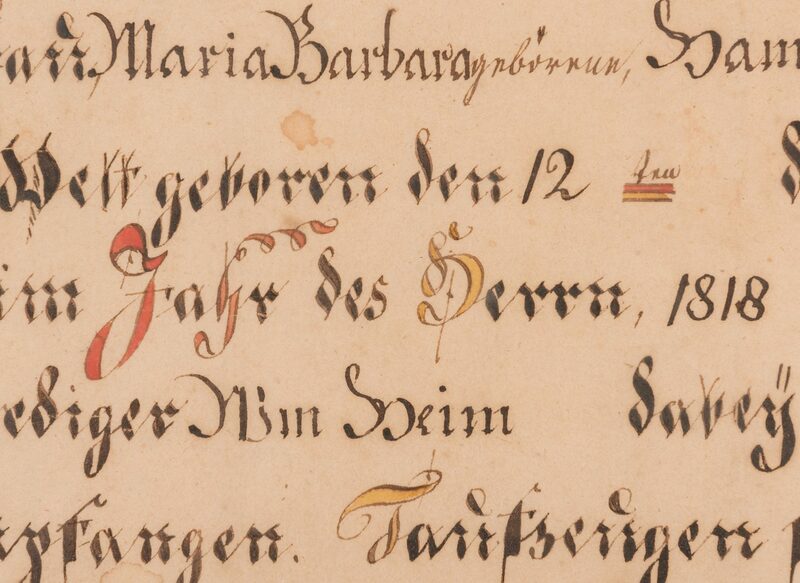 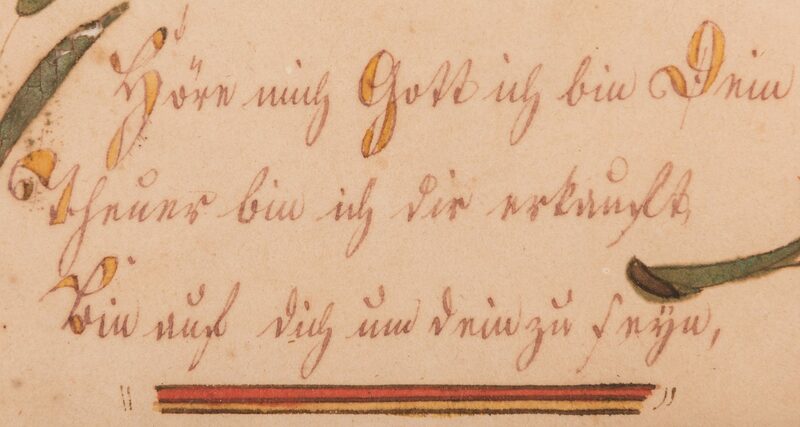 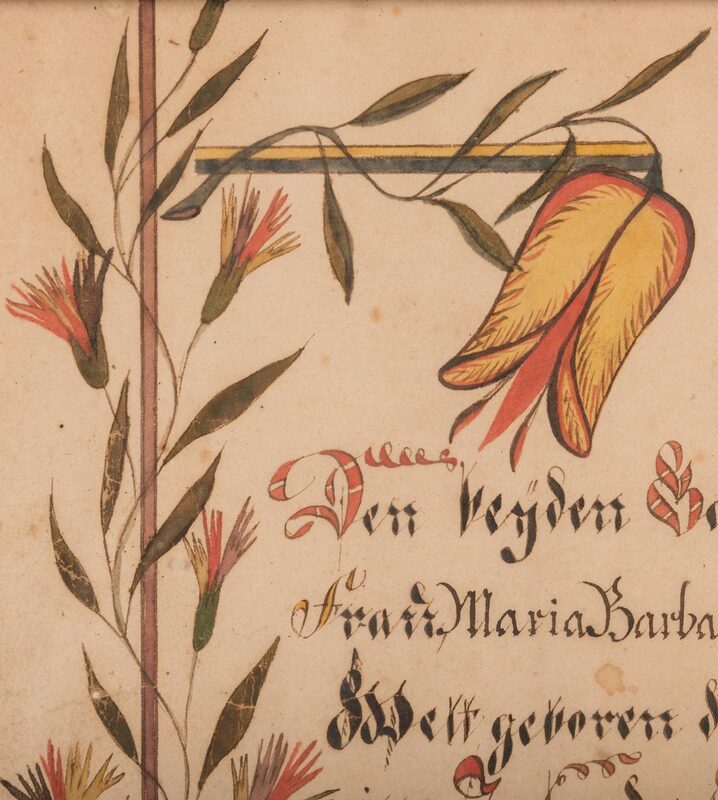 Pennsylvania German fraktur birth certificate, watercolor and ink on paper, dated 1818, written in German, the top center decorated with American Federal eagle holding shield, laurel sprig and quiver of arrows, flanked by tall tulip plants and floral spray at base. 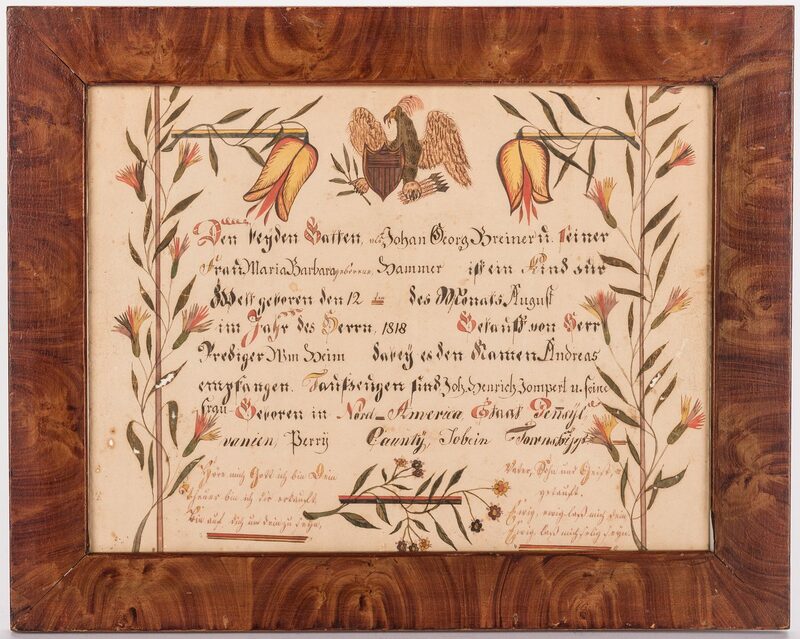 Housed in a faux painted frame. Sight – 11 1/4" H x 15" W. Framed – 15 1/4" H x 19" W. American, early 19th century. Provenance: Private Sevier County, TN collection. 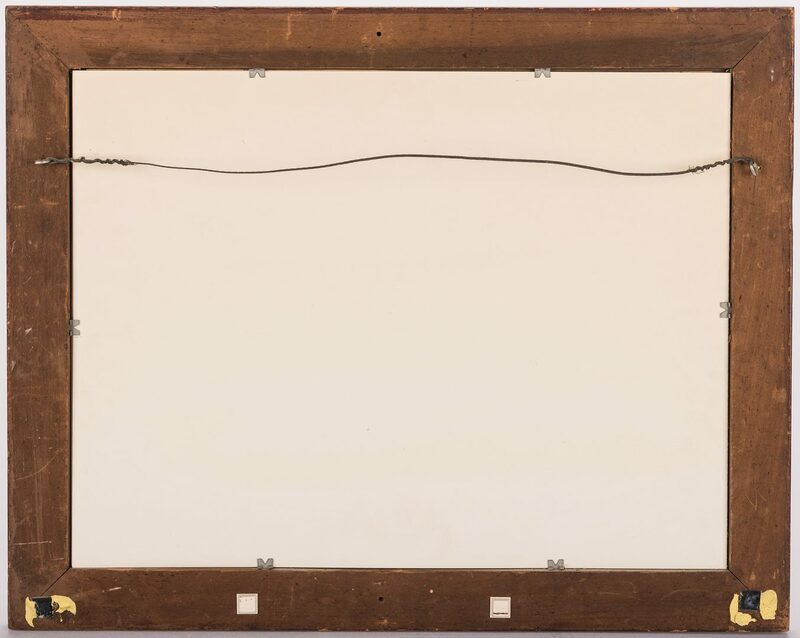 CONDITION: Areas of loss to paper, possible insect damage, largest 3/4", lower left and lower right sides. 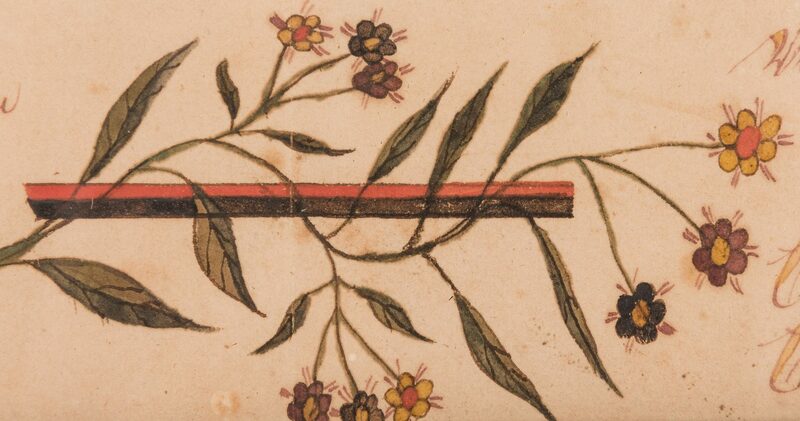 Scattered creases to paper.